A proposed class-action lawsuit has been filed against the federal government over the $165-million accounting blunder at Veterans Affairs Canada, CBC News has learned. The new case involves the miscalculation of disability awards and pensions at the veterans department, a fiscal gaffe that went on for almost eight years, starting in 2002. In 2010, the department discovered and corrected the indexing mistake, which affects about 272,000 elderly veterans, but quietly fixed the issue without notifiying those affected until the former veterans ombudsman blew the whistle last November. Last week, CBC News revealed documents that detailed how the error happened and some of the assumptions bureaucrats used when the issue was buried. The lawsuit takes aim at that aspect and said the government's "conduct in failing to disclose the calculation error once discovered in 2010 is public misfeasance in office which should be censured by a damage award," said a copy of the statement of claim. Peter Driscoll, the lawyer representing Manuge, said the federal government knew what it was doing and acted unlawfully. "We say that there is a duty, among other things, upon the government to disclose such an error, make good on that error in a transparent way, and that's what they failed to do," he told CBC News in an interview. Manuge, who was collecting disability benefits during the period in question, said he believes someone needs to be held accountable for not reporting the initial mixup. "Any Canadian can understand a mistake, but just come out and say, 'Listen, we made a mistake, this is what happened and here's what we're doing to fix it,'" he said in an interview Wednesday. The Liberal government dodged questions last week about whether it would investigate. "If Veterans Affairs is not going to hold themselves accountable, if we cannot get a straight answer ... then, you know, I am really confident that the Federal Court will find some answers for us," said Manuge. As part of owning up to the mistake late last year, the Liberal government promised it would reimburse those affected, but underlined the payments wouldn't be made until 2020. That, said Driscoll, is offensive. "You know when a veteran owes the government money in the form of an overpayment and VAC benefits, or assistance, or whatever the case may be, they're immediately required to pay it back," he said. Driscoll said a number of veterans, in addition to Manuge, contacted their law office and claim that their attempts to get information about reimbursement out of service agents at Veterans Affairs have been met with obfuscation and the brushoff. Driscoll said Manuge's experience and perseverance through the previous court case involving the Service Income Security Insurance Plan meant he was the right person to front a class-action lawsuit. Manuge was injured in an accident at Camp Petawawa, Ont. in 2001, just before being deployed to Bosnia. His condition forced him to leave the military two years later, and he suffered from lower back pain as well as bouts of depression. 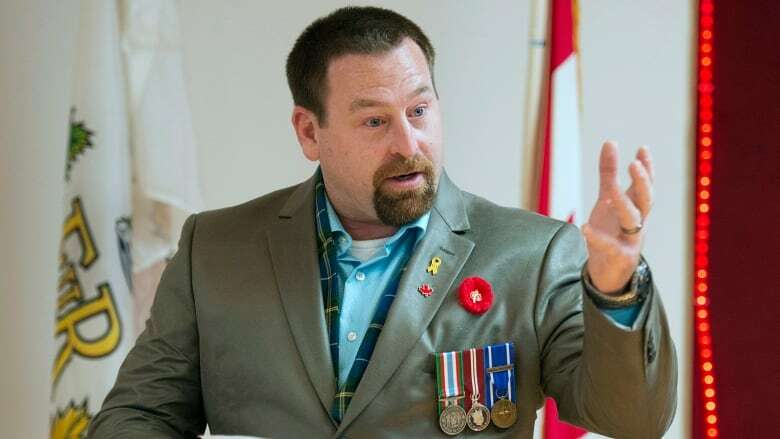 At the time, his Canadian military long-term disability benefits were reduced by the amount of money he received in disability from Veterans Affairs. He fought the clawback and filed a class-action lawsuit against the federal government in March 2007, which took almost five years to make its way through the courts. His lawyers won a victory in 2012, when the Federal Court said it was unfair of the federal government to treat pain and suffering awards as income. The former Conservative government decided not to appeal and negotiated a $887-million settlement with the roughly 7,500 soldiers who were affected.